The skill gap, Industry 4.0 and a multigenerational workforce are moulding the function of HR in the workplaces of tomorrow. HR, as we know it today, has in itself transformed from what it is was about three decades ago. 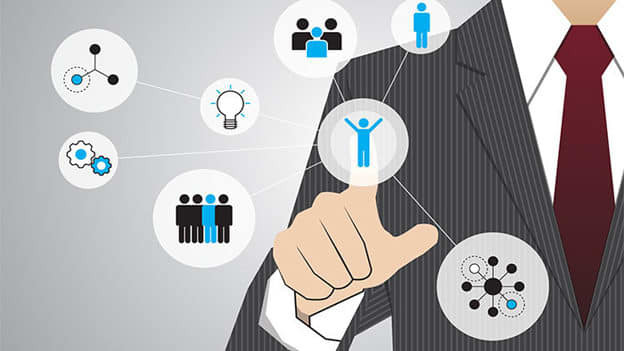 Going forward, the role and function of HR is bound to undergo a major evolution considering that there are several “forces” shaping the people’s department. For Paul Dupuis, Managing Director and CEO, Randstad India, the future of HR is going to be successful when the fraternity embraces the “man with machine” model instead of the “man vs. machine” mindset that is prevalent today. The fear that technology will replace jobs has been ingrained in human psyche ever since the advent of industrial revolution, Dupuis said. However, be it the conveyor belt or the internet, there is still a need for the human touch, analytical skills and the ability to employ the right tech at the right stage--a skillset that only a human can provide. The other panelists included: Shilpa Vaid, CHRO, Arvind Lifestyle Brands; Raj Raghavan, Senior Vice President HR, Indigo; Alka Gulati, Director HR, Hughes Communications, Vivek Khanna, Managing Director, India Region, First Advantage Corporation. According to the book, there are five major factors that will shape and mould the HR world in the upcoming decades. One of the primary force is the skill gap that is felt across the board. HR professionals are focusing on building workforce capabilities and investing in learning and development initiatives. The skill gap can only be bridged when HR professionals build strategies in tandem with the employees in order to achieve business goals. The book also sheds light on how the CHRO of the future needs to reskill herself from today itself to become a business aware solution finder, must have commercial acumen, technology chops and become an agile learner. The HR function’s role in the future will become about building a fruitful employee experience that will translate into business outcomes. Apart from the need to upskill the workforce, the millennial workforce is going to have an everlasting impact on the way workplaces are built for the future. Millennials are often misunderstood in the workplace. The repercussions of this are felt by HR leaders and business professionals across all sectors. This book debunks the myths surrounding millennials--commonly considered as job hoppers--to provide a strategic way of appealing to the new members of the workforce with strong company values and the opportunity to make a social impact through their work. Striking the balance between different generations participating in the workforce is another challenge. During the panel, Khanna pointed out that the future workplace would be different with the entry of millennials. According to the book, by 2025 the nine-to-five concept going to the office would become redundant. With the capture of the workforce by the millennials, businesses would transform their models to more flexible working models where there is more opportunity to collaborate. As technology transforms the workplaces of the future, CHROs and CXOs of today are adopting new strategies of skill building, learning cultures, organizational structures, policies and thus defining how HR would look a few decades later.